This list will be updated periodically.If you don't see your player or converter please make comment and it will be added in list. DVD Wizard Pro (Version 5.75) allows you to make copy of the Video-DVD disc on DVD-R/RW, DVD+R/RW or CD-R/RW media or save it as AVI file on your hard drive. For this purpose you need the DVD-RW, DVD+RW or CD-RW burning drive. You should n't worry if you have combo drive which is used for reading and burning. Application able to perform copying using only one CD-RW/DVD-+RW/DVD-ROM device which is at first used as DVD-ROM and then as CD/DVD Burner. If the movie will not fit to one disc the application asks you to insert another one to burn the last part of the movie on second disc. Jv16 PowerTools provides the best solutions to maximize the performance of your PC. You can diagnose, monitor and tune up your computer, and it's easier you would ever believe! The program contains advanced tools for your computer but that doesn't mean that it would be hard to use, quite opposite, the program's intuitive user interface, automatic safety and backup features and comprehensive documentation makes the tool suitable for any PC user. · Automatic backup and safety features help you to use the program as risk free as possible! Startup Manager - Allows you to list all the applications which automatically start with Windows. You can remove applications from the list and add new ones, you can also disable programs (i.e. they remain on the list but don't any longer automatically start with Windows. You can later enable them again). Registry Information - A tool which allows you to see exactly how much data is stored in the registry, as well as other information about the registry. Registry Compact - Allows a quick and easy registry compact (also known as "registry defrag" and "registry compression"). File Tool - Opens the File Tool directly from the main window. You can then drag and drop files directly to the tool and modify them with the numerous features of the File Tool (such as Encryption, Wiping, Mass Renaming etc). Directory Finder - Allows you to find directories based on a very rich set of search options. For example, you can list all empty directories, directories that contain at least N bytes of files, directories that contain at least N files etc. Disk Wiper - Allows you to fully erase selected drives, the contents of individual directories, or to wipe all the free space of a drive. The exact method of wiping can be configured (i.e. how many times the data is written over) by the user. - Internet update feature which shows the latest version of the product and tells instructions how to update to the latest version. - New features of the File Tools: Split and Empty. The Split feature allows you to split files to many parts, either by size (e.g. split a file to parts of 10 MB each) or by number (e.g. split a file to 10 parts). The feature contains very sophisticated file naming and simulation features not present in most other similar tools (which alone can cost up to $29.95!). The Empty feature allows you to reset a file (i.e. remove all of its contents), the feature comes very handy when you must flush hundreds of log files without removing the files. - The File Finder can now find files that have been modified/created/last accessed within the last N years, days, months, hours, minutes or seconds. - The File Analyzer can now automatically detect the language of the file, the following languages can be detected: English, German, French, Italian, Spanish, Portuguese, Latin, Finnish and Swedish. Support for more languages might be added in the future. - Added shortcut to the Windows Calculator to the main window's shortcuts menu. - The speed of the Registry Cleaner is improved by 50% and the accuracy by 10%. - The entire Registry Monitor is rewritten giving it a performance boost of over 70%, also all stability issues of the feature are now fixed. - The product's cpu idle time usage is minimized close to 0%. - Software Manager can now perform a full uninstallation, and doesn't only remove the software's registry entries. - Fixed many minor memory leaks. - Improved the startup time of the application. - The product automatically removes non-used backup meta files and empty backups, which can be a result of e.g. interrupted backup creation. - Added the Full row select feature which allows you to select items without having to put the small tick to the check box of the line. - Highly improved printing feature can now handle even the largest lists. - Users can now configure which Internet search engine the product uses by default. Added support of CDs and DVDs created by Roxio Easy Media Creator 8. Improved DVD recovery on the discs created by standalone devices (DVD camcorders, personal DVD recorders). With WinGuard Pro 2006 you can password protect your programs, windows and web pages in one easy to use program! What's more, there is also encryption for your personal files and folders. It offers an all-in-one security solution for your computer. With extra features to lock the desktop, boot keys, task keys, blocking software installations and internet access. WinGuard Pro 2006 comes in a Free and Premium edition. Passware Kit Enterprise recovers all kinds of lost or forgotten passwords for the world's most popular office application files, including Excel, Word, Windows 2003/XP/2K/NT (both Local and Domain Administrator accounts), Lotus Notes, RAR, WinZip, Access, Outlook, Acrobat, Quicken, QuickBooks, WordPerfect, VBA. All versions of MS Office are supported including the most recent Office 2003. Passware Kit can recover passwords for opens, write reservations, workbooks and worksheets, templates and documents, Personal Folders files, form designs, databases and access user accounts. Lotus Notes Key module recovers passwords for Lotus Notes user ID files. ZIP password recovery module decrypts most of WinZip archives in less than an hour with new SureZip recovery. No1 Video Converter support AVI,MPEG1,MPEG2,ASF,WMV formats. Convert all supported formats to MPEG1,Convert all supported formats to MPEG2,Convert all supported formats to VCD,SVCD,DVD(PAL,NTSC),Convert all supported formats to AVI&Divx,Convert all supported formats to Windows Media Format (ASF/WMV),join some small all supported format files to one, Split large supported format file to smaller pieces, Clip time Freely while conversion and joint, Batch files conversion, Eextract audio track to WAV from all supported formats, Extract images from all supported formats. Joints video files to a large one. Backup VCD Disk(.DAT) music to mp3, wav, wma. 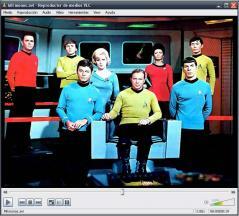 Ulead® VideoStudio 10 is easy-to-use software that turns home videos into fun-to-watch movies! Preserve your precious movies on DVD, CD, tape, the Web or mobile devices to share with family and friends. New to video editing? Choose from over 20 themes such as Birthday, Sports, Wedding and more. Then let VideoStudio make your movie for you. The Movie Wizard is ideal if you're never edited video before - it even makes your first edits for you! Are you in a hurry? The Wizard auto-scans your DV tape. You then select the clips you want and the VideoStudio DV to DVD Wizard burns a DVD complete with text, transitions and music. It's the fastest way to get your videos onto DVD. Want more control? Enhance your movies with over 1000 customizable effects, filters and transitions. From Chroma Key effects to Flash animation overlays, you can easily create fun-to-watch movies. This easy to use tool lets you change your IP anytime by routing your Internet traffic through overseas servers. Our service is constantly finding new open proxies making it much more difficult for your surfing habits to be tracked. must have on every computer! Rar Password : allOFFICEdvdISO "
P.S. : install discmaster2 before directcd"
VIP Simple To Do List is a handy tool for getting things done by better planning your daily tasks, chores, studies, parties, meetings, trips, events, etc. VIP Organizer is a personal time and task management software to organize your agenda and improve your business productivity by using to do lists and checklists. VIP Team To Do List is a time, task and project management software for Team Leaders to create, manage and send to do lists to team members. Only 1.68mb, direct run-no install!!! Runs from USB-stick!!! NTI Shadow enables automatic, continuous back up of your photo, music, data, and video files to virtually any attached drive including pen drives, MP3 players, personal media player, NAS devices, and hard drives. Shadow is easy to install and use. Shadow runs in the background so you will not be interrupted while you work. Schedule back up jobs by minute, hour, day, week and start time(s). Advanced file filtering allows you to easily choose files to back up by file type groups and custom file types. Additionally, Shadow backs up in native format meaning no additional software is necessary to restore files. Restoring is as easy as drag and drop. Shadow also offers Dynamic USB Device Detection? Shadow automatically detects specific external drive(s) you have chosen to back up to and will only perform back ups when the specific device is connected to your PC or Mac. Eliminate the risk of loosing your valuable photo, music, data, and video files with Shadow. Schedule back up jobs by minute, hour, day, week, and start time(s). Shadow will execute back ups for you automatically. Shadow enables you to quickly select specific file types for back up. If you want to back up all your photos to a pen drive, Shadow will automate the process for you. Shadow also supports custom file types to eliminate the risk of loosing your important data. NTI Shadow 3.0 is an award-winning easy-to-use backup application that automatically protects your photo, music, video, and various data files. It makes data restoration as easy as dragging and dropping files from one place to another. For real-time, continuous data backup, set Shadow 3.0 to save your files/folders every time they change. You can also specify your backup schedule by the minute, hour, day, week and start time(s) and also choose a specific or even a customized file type with Shadow 3.0's new advanced file filtering. Not only does Shadow 3.0 allow users to automatically copy files from their PCs to various devices in real time, but it also preserves the files in their native format - meaning no additional software is necessary to restore files. Shadow 3.0 works transparently in the background without disturbing you while you work, and does not take up important system resources. CyberLink Power2Go does it all. With a unique Express mode allowing drag-and-drop burning, Power2Go represents the most user-friendly disc recording software on the market. Meanwhile advanced mode lets you take full control of the disc production process with multiple options and configurable settings. What's more, broad format support ensures disc compatibility with all disc players. Power2Go, is the answer to easy CD and DVD creation. Power2Go Express allows simple drag-and-drop burning of Data, Music, and Movies, as well as an easy double-click activation of Copy Disc. Each of these four functions is represented by a cube. These cubes sit on the desktop and can be moved independently to anywhere on the screen. The cubes are magnetized for easy grouping. In addition to Express mode, Power2Go features an advanced mode of operation. This mode offers all the features available via the Express mode, plus the means to configure a range of functions for burning, and copying. Utilities for actions such as ripping files and erasing discs are also available. Power2Go supports the creation of files on a range of disc media, including, CD-R, CD-RW, DVD-RAM, DVD-R, DVD-RW, DVD+R, and DVD+RW discs. Power2Go features powerful built-in authoring functions for creating professionally styled discs. Authoring functions are available via the built-in PowerProducer Express, which allows creation of video chapters, disc menus, and other disc authoring effects. Power2Go's authoring features can be expanded to include capturing of analog video from VCRs and TVs as well as burning the widest range of disc formats currently on the market. This is achieved via Power2Go's support for CyberLink's PowerProducer 2 Gold software. Once installed, Power2Go recognizes the software instead of the built-in PowerProducer Express. Passware Kit Enterprise recovers all kinds of lost or forgotten passwords for the world's most popular office application files, including Excel, Word, Windows 2003/XP/2K/NT (both Local and Domain Administrator accounts), Lotus Notes, RAR, WinZip, Access, Outlook, Acrobat, Quicken, QuickBooks, WordPerfect, VBA. All versions of MS Office are supported including the most recent Office 2003. Passware Kit can recover passwords for opens, write reservations, workbooks and worksheets, templates and documents, Personal Folders files, form designs, databases and access user accounts. Lotus Notes Key module recovers passwords for Lotus Notes user ID files. ZIP password recovery module decrypts most of WinZip archives in less than an hour with new SureZip recovery. Now for USB! Easy DVD Extractor is a powerful and easy-to-use tool for backing up your DVD movies. It can convert your DVD movie files to SVCD, VCD, MPEG1, MPEG2, MPEG4. High quality of video and audio, perfect synchronization of video and audio, selecting DVD caption, selecting audio language stream, selecting NTSC/PAL.You can convert your favorite DVD to almost all popular video formats with several clicks. Vemail is voice email software that lets you record and send voice messages instead of text using ordinary email. To send a voice message with Vemail simply enter an email address and then press and hold down F6 while speaking. When you have finished recording, the message will be compressed and sent as an email automatically. Anyone can receive and listen to the vemail as it can be played with the standard player installed in almost all computers. Quick messages in the office. It is faster to vemail someone than to type an email or call. Messages between friends. Voice vemails can be much more more personal than text. For people with disabilities who find it difficult to type. Automates the recording of voice attachments to emails so you don't have to type. Compresses the recording with selectable audio compression codec so recording downloads quickly. If you install a text-to-speech engine it will translate the recording into text as a draft and include it with the email. Edits recordings together if required. For example if you want to continue recording after a short break it will join the segments together. Supports the most popular audio formats - wav, gsm and mp3. System wide hot-keys can be set so you can send vemail by pressing a special key without opening the program. User friendly operation for day-to-day use. No technical knowledge required. Pentium 300 or above with at least 16MB RAM (32MB for XP). Sound Support on your PC (Most modern computers have sound). Microphone and Speakers (or a headset). These can be built into the computer. WinXP Manager is a tool for setting, optimizing, diagnosing and tweaking Windows XP. It includes more than 28 different tools that will let you teak and optimize your system. You can tweak memory and CPU settings, customize IE settings, find and remove junk files, check and repair your registry, control startup programs, optimize your connection speed, validate your Favorites and much more. It also includes an Auto-Optimization option, which allows less experienced users to easily optimize certain settings, using a wizard. The interface is easy to use and all available options are categorized into sections. Includes basic documentation and an annoying nag screen that pops up every few minutes. Information - Get detailed system and all hardware information on your system; show all detailed information of running processes and threads on your machine; WinXP Manager offers auto optimization feature for the user without having any advanced knowledge. Optimizer - Tweak your system to improve windows startup and shutdown speed; monitor and free your Physical Memory; tweak your hardware to increase system speed and performance; disable some unnecessary services which start with windows; repairs Internet Explorer and certain other System Components to restore these functions. Cleaner - Find and clean junk, unnecessary wallpaper and screen saver files to increase Hard Disk space; Registry Cleaner can easily checks your registry and repair incorrectly linked registry entries, automatically remove invalid entries; uninstall and logoff some installed programs. Customization. Control what is started on Windows startup; edit context menus of mouse Right-Clicking; customize system desktop, menus, toolbar and notifications settings, change Windows logon background; change system icons; custom OEM information. Security - You can improve desktop, menus, control panel, windows logon securities, and enable numerous hidden performance options of system, disable system updates and error reports; hide and restrict to access drives, specify which applications are not allowed to be executed on your computer; encrypt/decrypt and shred files, camouflage folder to hide its content from Windows explorer, change the location of system folders; Privacy Protector can maintain your personal privacy by eliminating the tracks that you leave behind; create lots of randomization password once. Network - Optimize your Internet connection speed, manage all shares items, search for and find out opened ports on your system; Tweak your Internet Explorer easily; backup all data in Outlook Express; automatically check the invalid URLs in your favorites and parse domain name; Message Sender can easily send messages to others. Misc. Utilities - Show the collection of Windows utilities; control your computer when you're not at home; apply XP visual style to any Windows applications; appoint logging on time of any account users. 1. Encrypt HTML Pro v2.6.2 - Encrypt and protect your HTML source code from unauthorized copy. Prevent the visitor from viewing and reusing your web page source code, disable right mouse click, disable text selection, disable page printing, and many other powerful features, thus protect your hard work and unique design on the web. 2. HTML Password Lock v3.26 - Password Protect web pages, html pages and whole web site! With easy to use wizard, you can password protect your web pages with strong algorithms step by step in just a few clicks. 3. Search Engine Composer v5.38 - Create search engine for your online web site, Intranet, CD and DVD in minutes! Easiest way to add search capabilities to your web site. NO setup required on server, all you need to do is index your web site, and upload the files generated by the program, then your site search engine is ready to run. 4. Web Button Menu Maker v2.1 - Create professional XP, Mac, glassy, metallic and colorful style web buttons and DHTML menus with many pre-made button templates. Create a variety of horizontal and vertical navigation button bars and tabs for your website. Includes dozens of template styles to choose from, and each can be further customized in size, color font and optional popup menus for multi-level navigation. يعتبر برنامج في إل سي ميديا بلاير مشغل وسائط متعددة مذهل يقوم بتشغيل العديد من ملفات الفيديو والأوديو. MP3 و WMA و WVA و DivX و XviD و MPEG و MPEG-2 و MPEG-4 و OGG و DVD و VCD و SVCD وغيرها من الملفات. يمكنك تشغيل ملفات موسيقى أو فيديو أو أفلام أو برامج أو غيرها من الملفات بأعلى جودة كيفما يحلو لك. مع برنامج في إل سي ميديا بلاير، يمكنك الوصول إلى أي ملف وسائط متعددة مباشرةً بدون الحاجة إلى تنزيله مسبقاً من أي صفحة ويب، وهو ما يعرف بالدفق. كما أن هذا البرنامج يسمح لك أيضاً برؤية كل جزء من الملفات التي تقوم بتنزيلها على جهاز الكمبيوتر الخاص بك. ومن بين العديد من خيارات التشغيل، يعد برنامج في إل سي ميديا بلاير عبارة عن تطبيق قائم على الكود المفتوح والذي يعمل مع أنظمة التشغيل مايكروسوفت ويندوز و ماك أو إس إكس وبوكيت بي سي و لينوكس وغيرها من أنظمة التشغيل الأخرى. يقدم برنامج في إل سي ميديا بلاير كمية كبيرة من الأشكال الممتعة التي يمكنك استخدامها لضبط الإعدادات الشخصية لتصميمه البسيط. وإذا كنت ترغب في وضع أي نوع من أنواع محتويات الوسائط المتعددة على شبكة الإنترنت، يمكنك القيام بذلك من خلال تثبيت خاصية "خادم فيديولان" VideoLAN Server. VLC Media Player is a fantastic multimedia player that works with numerous video and audio formats: MP3, WMA, WAV, DivX, XviD, MPEG, MPEG-2, MPEG-4, OGG, DVD, VCD, SVCD, etc. Play top-quality music videos, films, programs, etc. at your convenience. With VLC Media Player you can access any multimedia file directly without having to download it beforehand from a web page, which is known as streaming. It also lets you see every part of the files that you are downloading to your computer. With numerous playing options, VLC Media Player is an open code application that works with Microsoft Windows, MAC OS X, Pocket PC, Linux and many other platforms. VLC Media Player offers loads of fun skins you can use to personalise its simple design. And if you want to put any type of multimedia contents on the Internet, you can do this by installing the VideoLAN Server function.